Construction event ecobuild has re-appointed Tangerine to handle communications activity for its 2018 show. Futurebuild Events Ltd, the new owners of ecobuild, have renewed the relationship with Tangerine after a successful 2017 show. It's also broadened the scope to include social media support. Futurebuild Events was set up Martin Hurn, who spent the last five years running Ecobuild with former owners UBM. 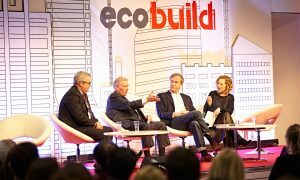 Hurn said: “Under our new management ecobuild is going to be different and we want next year’s event to be unlike any other trade show.